The social cost of state-sponsored gambling, welfare state nostalgia, and Helsinki residents throw temper tantrums over snow. State-owned national betting agency Veikkaus' top customer segment spends 700 euros a month gambling, reports business magazine Talouselämä. However the agency is now looking to rake in 200 million euros more in annual profits by 2021, according to the weekly. Profits would be sought by making games more appealing to users, Veikkaus sales materials showed. 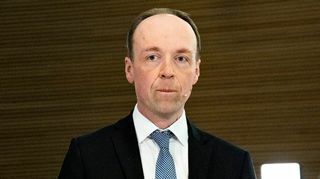 Reacting to the news, the National Institute for Health and Welfare (THL) said that Veikkaus’ goal to increase margins would make it more challenging for authorities to combat gambling-related problems. According to estimates by Finland’s National Institute of Health and Welfare, problem gamblers contribute more than one-fifth (23 percent) of the money spent on gambling. Those with little money to lose—pensioners, the unemployed and those laid-off from work—hand over almost one-third of gambling proceeds. Slot machines—which are usually the biggest problem game for the poor—are more highly concentrated in neighbourhoods with people with lower income, education, and employment levels. Is Finland’s welfare state a reality or a nostalgic remnant of the past? asks a column in Swedish-language daily Hufvudstadsbladet. The column notes that nostalgia for the welfare state is increasingly becoming a facet of Finland’s country brand—attracting investments and producing export-worthy products, such as Finnish education and baby boxes. The columnist finds that instead of undermining it, the glossy finish is endearing welfare ideals across the political spectrum, noting that the concept of universal basic income has not been limited to social progressives, but has gathered traction across the ideological spectrum. The City of Helsinki has issued a public service announcement urging residents to refrain from attacking municipal snow ploughers, reports national daily Helsingin Sanomat. Some ornery residents have been upset by snow removal machine noises while others have attempted to guide city workers to plough particular stretches of sidewalk. The city said Helsinki in the past weeks saw as much snow as it usually does in an entire winter—50,000 truckloads. Finland's gambling problem: "A Robin Hood system in reverse"